How to check the Provident Fund (PF) Balance Status? Gone are the days when you had to wait for your employer to tell your EPF (Employee Provident Fund) popularly known as “PF” balance at the end of the year. Now, the check of PF balance has become super easy. The government had introduced various ways through which you can check your PF Balance anywhere, anytime. By just giving a missed call to 011-22901406 from your registered Mobile number you can know your details of last contribution and PF Balance on your registered number free of cost. A. What will happen after giving the missed call? The call will automatically get disconnected after two rings. B. Who can enjoy this facility? Only the Members registered on the UAN portal can get their details. Registered Mobile Number should be activated with UAN at Unified Portal. Anyone of the following KYC must be done against your UAN. By sending an SMS at 7738299899 from registered mobile number you can know your latest PF contribution and balance available. The best part is that this facility is available in 10 languages-English (default) and Hindi, Punjabi, Gujarati, Marathi, Kannada, Telugu, Tamil, Malayalam, and Bengali. A. What SMS need to be sent to check the balance? For getting the SMS in any of the languages other than English, first three characters of the preferred language needs to be added after UAN. For example, If you want to receive SMS in Telugu then SMS to be sent will be “EPFOHO UAN TEL” to 7738299899. B. What will happen after sending SMS? 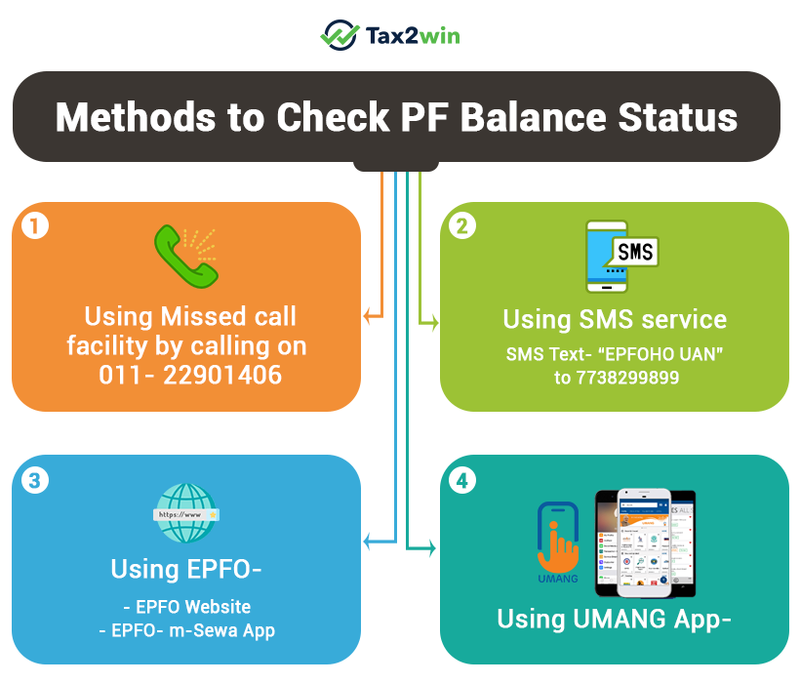 You will receive an SMS from EPFO containing the following details – last PF contribution and balance details along with available KYC information. C. Who can enjoy this facility? UAN activated Members whose KYC is done. In other words, it is same as for using the missed call facility. Step 4: Login your account with your UAN ID and Password. Step 5: It will show you the complete list of your members IDs of all account linked with your UAN including EPF account details with current and previous employers. Step 6: Now select the member id for which you want to check the PF balance, here you can see the passbook on the screen. Who can not check the balance from EPFO Portal? Members of establishments who are exempt under the EPF Scheme, 1952 are exempt from passbook facility and if you still try to log in to account you will get the message informing you as it belongs to the exempted establishment hence passbook is not available. You can easily download the m-sewa app from the Google Play Store. After installing the app on your mobile phone click on the Balance/Passbook and in order to that fill the details of UAN and registered mobile number. As soon as you will fill the above details on the screen, you will get the information of the passbook that you want to see. 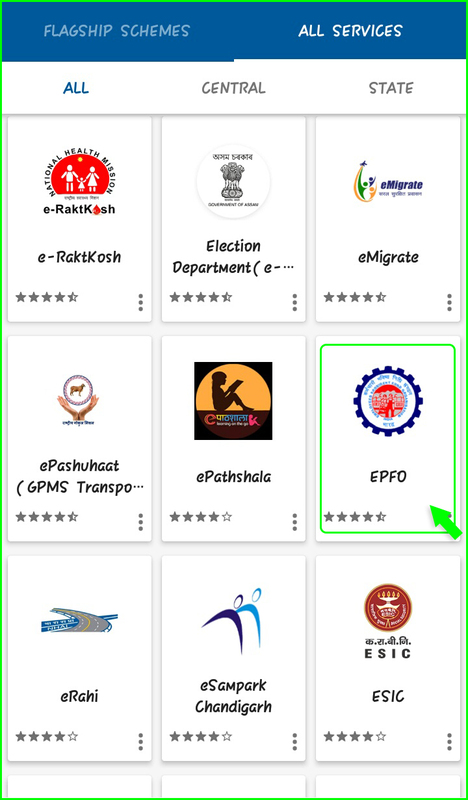 UMANG(Unified Mobile APP for New Governance) is a government app which provides a single platform to all Indian Citizens to access e-Gov services of Central, State and Local Government bodies and other citizen centric services. By using this app you can check the PF Balance. A. How to use UMANG for PF ? For using The UMANG APP, you need to first download it from from UMANG website or from the play/app stores or by giving a missed call 9718397183. After installing the app on your mobile phone it will ask you to select the language of your preference. Further you will see all the government services coming under this app. 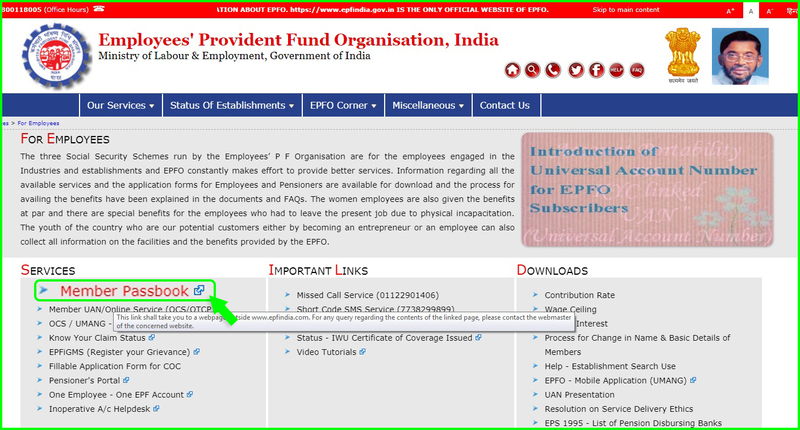 Click on the EPFO option on the homepage of the app and select “Employee Centric Services”. Then click on ‘View Passbook’ and in the type put your UAN. Log in and enter the one time password (OTP) that you will receive on your registered mobile number.The OTP is valid for 30 minutes. After entering the OTP, you will be able to see your PF passbook from where you can check your PF Balance. 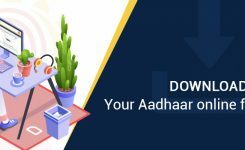 What is Age Declaration form under Voter ID Form 6? Age declaration form is found under Annexure III, Form 6 of Voter ID. It is for an elector of the 21+ age group who is looking for registration for the first time. 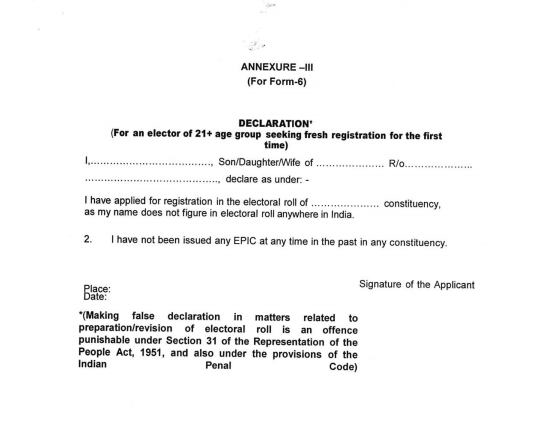 Under this form, elector declares that he has applied for the first time for the electoral roll of a certain constituency with respect to some conditions. At last signature of the electoral is required. You can get the full format of form 6 from here. 1. 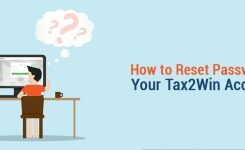 Do I need to pay tax if I withdraw PF? If the amount withdrawn is less than Rs. 50,000 before completion of 5 years of the service then no TDS will be deducted. 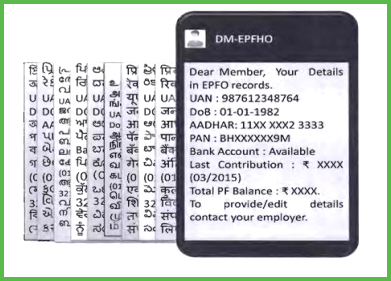 If EPF is withdrawn after the 5 years of service, No TDS will be applicable. In case the amount withdrawn is more than 50,000 before the completion of 5 years of service, TDS will be deducted. Further, if you have submitted Form G or Form no TDS will be deducted. 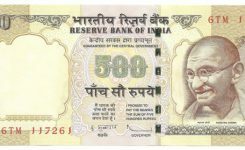 Can I withdraw money from PF after 5 years? How to withdraw full PF amount? Only after retirement or at the time of unemployment for more than 2 months, You become eligible to withdraw your full PF amount. 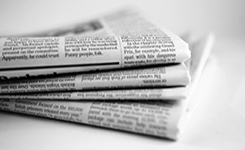 Otherwise, you are eligible to withdraw a certain percentage of the amount as per the case. For this, you have two options available- online or offline. 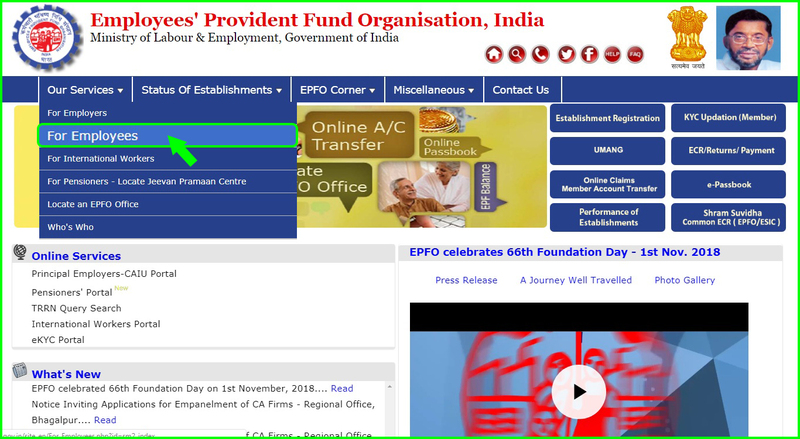 Thus You can withdraw the money from EPF by using online mode through EPFO portal or by submitting a physical application through offline means. Is EPF a part of 80C? 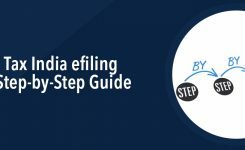 Yes, the deduction for EPF can be claimed under Section 80 C while filing Income Tax Return. 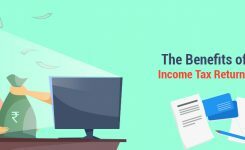 Under 80 C of Income Tax Act, you can save up to Rs. 1,50,000 by investing in EPF. How to check my PF balance?